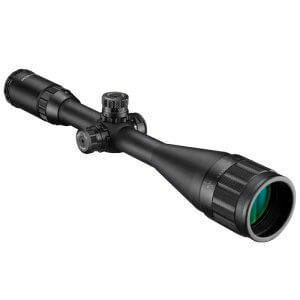 The 2x30 Electro Sight Tactical Multi Rail Riflescope from Barska is designed with the versatility in mind for both short-distance, quick acquisition and medium to long-distance shooting. 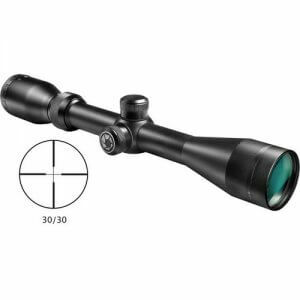 The riflescope has been endowed with multiple Weaver style Picatinny rails for attaching aiming accessories such as a laser sight or a flashlight. 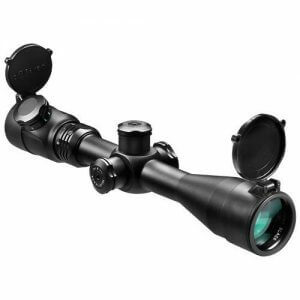 It has a removable 2X objective lens magnifier and unlimited eye relief for quick tactical shooting. 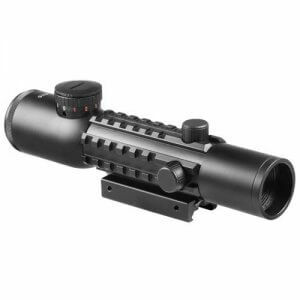 There are side and top rails, windage and elevation turrets, an adjustable rheostat and an illuminated 5 MOA Red Dot reticle. 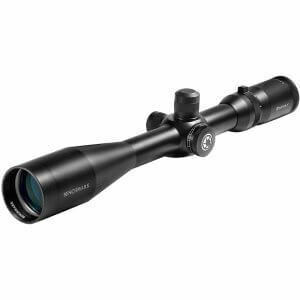 It has a 30mm tube diameter and ½ MOA click values. 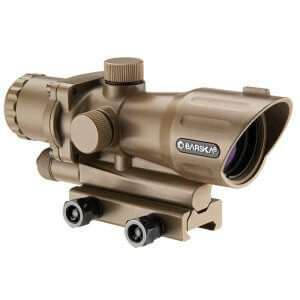 This is a tactical scope for the AR-15, M-16, M-4, SKS and other weapons as well. Rise mount not included. 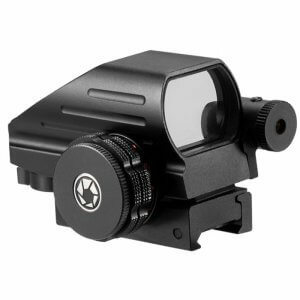 2x30 IR Electro Sight with a 5 MOA Red Dot Reticle and Integrated Weaver Style Picatinny Rails. 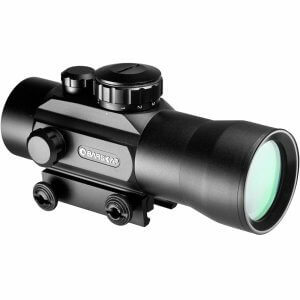 Removable 2X objective lens magnifier. 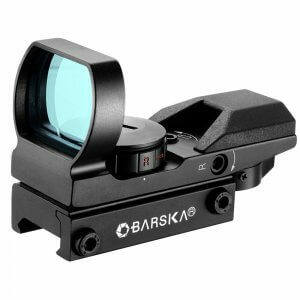 Long Eye Relief for quick tactical Shooting. 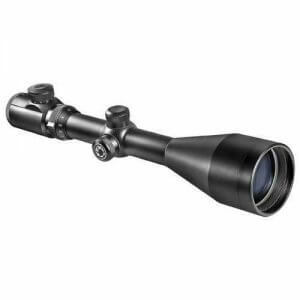 Tactical scope with Long Eye Relief for AR-15, M-16, M-4, SKS and More. Excellent eye relief. Easy to use. 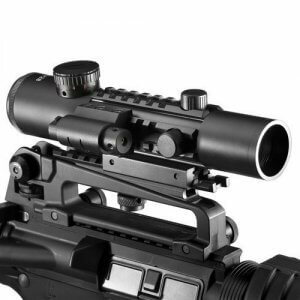 Easy to add/remove magnifier. Easy to mount on rail system. 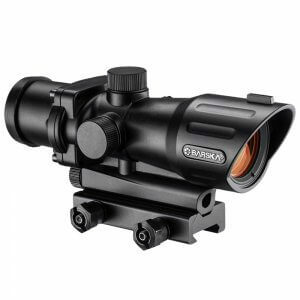 I used this product to qualify with my Patrol Rifle. Initially it was aggravating to zero because of determining the correct rotation is actually the opposite of the marks. After it was sighted in, this product is outstanding. Once we sighted it in, we actually struck it against objects to see if we could knock it out of alignment. With no avail, I continued to place one inch groups on a 300m zero target. Outstanding product.